We hope you like our new look website which is designed to make it easier to find the information that you are looking for. In particular, we hope you like the feel of the design which is specifically intended to be easy to navigate and to reflect our forward thinking and modern approach. The site is now compatible with modern tablets and smart phones to allow you to keep in touch while on the move. 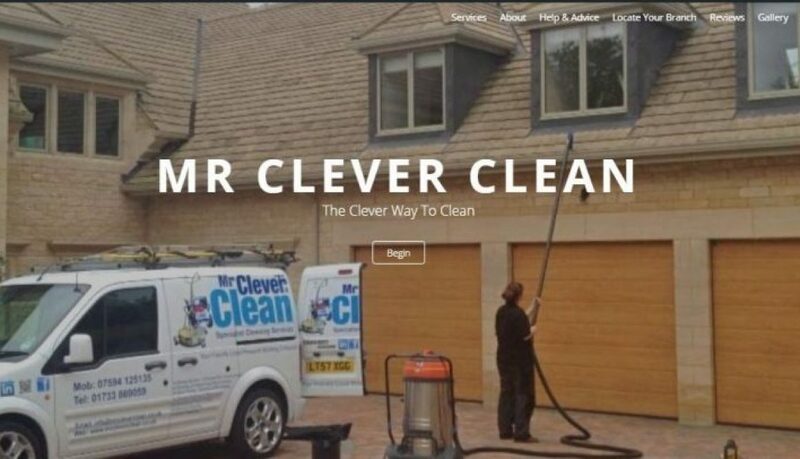 We will be updating this Blog on a regular basis to keep you in touch with all the new things happening at Mr Clever Clean as well as regular updates as to what is happening in the wider cleaning world. Take a moment to explore our new site, you can bookmark us, and be sure to check back regularly for more information about our services. If you have any questions about our new site or, indeed, any other matter then please get in touch via our contacts section. Easy to contact, quick response with quotes or queries.Good job, done well, every time.Definitely recommend Mr Clever Clean! Excellent job, would recommend to anyone. What an incredible chimney sweeping service! Thorough is an understatement, so naturally I will book these guys for any house maintenance from now on. Professional, friendly, thorough and super helpful. Very quick and efficient. And the gentlemen that came out for was very friendly let me know he was there before he started and let me know when the job was completed. Very good. Even answered a few of my gutter questions. Another excellent job done, could not ask for a better service.